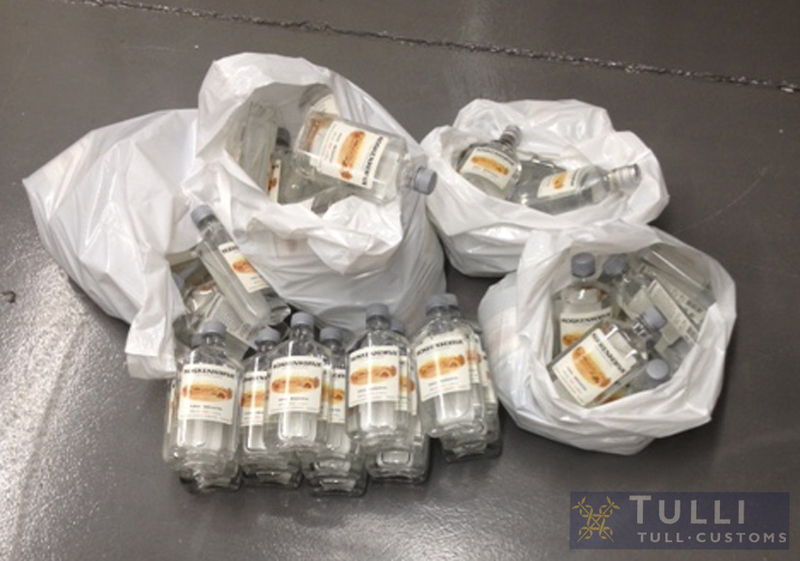 Customs has investigated a series of offences involving the suspected import of considerable quantities of alcohol to Finland for commercial purposes without appropriate declarations submitted to Customs. Customs also suspects that alcohol has been sold in Finland without a sales permit. The imported alcohol was mainly sold to persons with alcohol problems. The amount of taxes evaded in the case is about 150 000 euros. In the preliminary investigation of the case, Customs has found out that alcoholic beverages have been sold in Finland to persons with alcohol problems in the Helsinki region. These persons have mainly remained in debt for the alcohol they have bought. 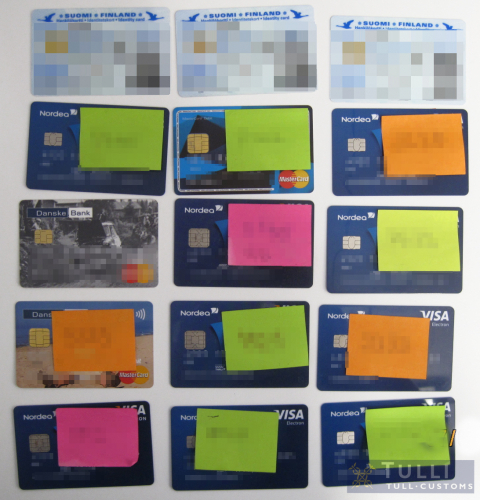 For this reason, Customs seized several bank cards and PIN codes that the main suspects had obtained from buyers of alcohol. One of the main suspects possessed identity cards taken from the buyers to prevent them from making bank withdrawals. These cards were also seized over the course of the preliminary investigation. The investigation gives cause to suspect that dozens of people have bought alcoholic beverages. The preliminary investigation by Customs revealed that the two main suspects purchased the imported alcoholic beverages on ships to Estonia, and in Estonia. The suspects made frequent trips for obtaining alcohol which they imported as so-called normal passenger goods. Customs authorities suspect that the two persons were accompanied by other people on their trips, and that they imported alcoholic beverages to Finland in accordance with the guidelines provided for by the Finnish Act on Excise Duty. However, there is reason to suspect that the alcoholic beverages brought to Finland by persons who accompanied the suspects on their trips in fact belonged to the suspects, and ended up for re-sale in Finland. Based on the investigation, the imported strong alcoholic beverages mainly comprised alcohol of 38 % by volume. In the preliminary investigation by Customs, 17 persons were questioned on suspicion of an offence. The main suspects are suspected of aggravated tax fraud and an aggravated alcohol offence. Persons who participated in the import of alcoholic beverages are suspected of aggravated tax frauds. The buyers of alcoholic beverages are suspected of unlawful dealing in imported goods. One person is also suspected of money laundering. During the preliminary investigation, altogether 27 000 euros was distrained and seized. The amount of taxes that should have been paid to the state for the alcoholic beverages brought to Finland for commercial purposes is about 150 000 euros. The Prosecutor’s Office of Helsinki will consider charges in the case in early 2017.